My niece and nephew spent the night this weekend. 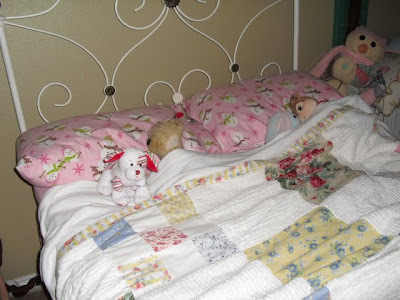 Morgan wanted to sleep on the pink snowman sheets before it was time to take them off. Unfortunately, I didn't get a picture of them, but I got a picture of their "guys". This is when Morgan put them down for a nap. Honey bear is the second from the left. I gave him to Morgan on Valentine's Day 8 years ago. He has been loved to pieces. My sister has had to restuff him and sew him quite a bit. He's a lot skinnier then he used to be, and he's balding. 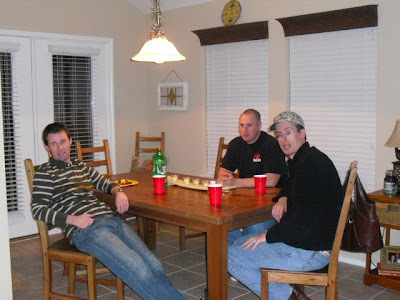 This weekend we also Celebrated my friend Courtney's 31st birthday. What a difference a year makes. You can see Courtney's 30th birthday here. Last year we were both wanting to be moms. This year Courtney has brand new twins at home and I have one in the oven. God is good. 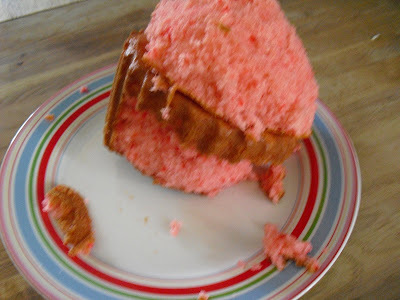 I also redeemed myself by attempting to make the Giant cupcake cake again. Marcus made some delicious brisket. He never messes up his recipes. We took the food to Courtney's, because it's a lot easier to come to her these days. Here is Courtney with Charis. She just had twins 3 weeks ago and has a totally flat stomach! It's a little irritating. I can't show one without the other. And I forgot to get a picture of Anna. 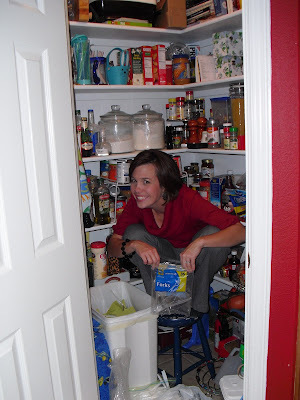 I just happen to have this picture of her in her pantry, and I have wanted a reason to put in on my blog. So here is my chance. She's got one in the oven too! It will be her THIRD! I think the cupcake cake is great. Glad it turned out this time. 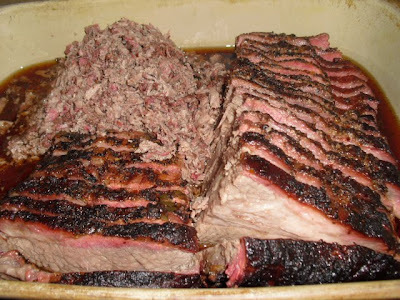 And Marcus' brisket makes my mouth water. 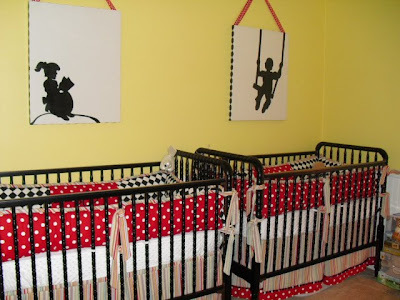 That nursery is darling! Love the bright colors, it looks so happy. Love the cupcake cake! It turned out great. How do you get your cupcake to turn out cute? Mine ALWAYS falls apart! My name is Lauren and I own a company called Cotton Candy Shop. I LOVE your blog and get so excited when you write new ones. I am really interested in a couple tips from you on redoing my office. 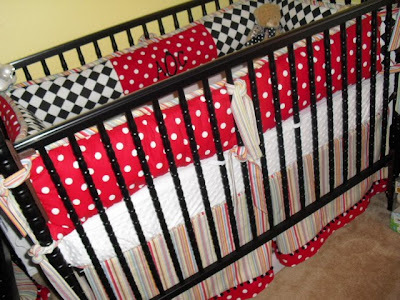 It is a small room in our house and I am wanting to do it red, turquoise, and black. It will be my girl cave! Do you know of any good colors in the above or any great tips I would greatly appreciate it. I would have emailed you but I did not see and email. Congrats on the baby you can check out our fun childrens clothes at www.cottoncandyshop.com. I really look forward to hearing from you. Sounds like you have such lovely friends and family! 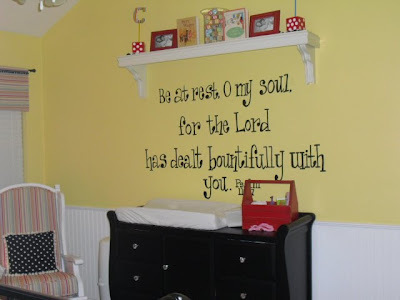 LOVE the nursery quote! Love! somehow stumbled across your blog-it's precious!! her twins are darling and she looks amazing!! The cupcake cake turned out great!! 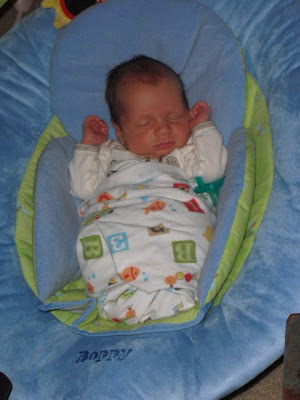 I love the baby's room too, those are my fav colors! It seems that a contagious disease hit your area!!! :o))) I guess all the fun you people are having with all the babies...how nice!!! I've been reading you for a while now, laughing a lot and wondering where you get the energy from( thinking about all the x-mas trees)! I just found your blog! I'm so excited! Love the cupcake cake. 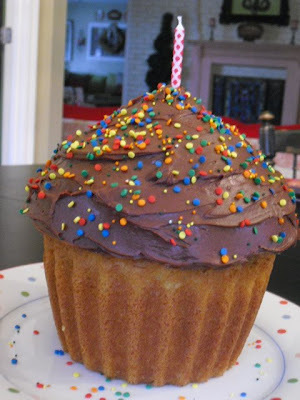 We just ordered a big top cupcake a few days ago. I hope ours turns out as great as yours!